In 1967, Stax records put out a promotional radio-only album called Stay in School. Featuring many of their top artists — Sam & Dave, Willam Bell, Carla Thomas, Eddie Floyd and Otis Redding, of course — it mixed original songs with “announcements” from the artists about the importance of getting an education. Oh, and it had liner notes from then Vice President Hubert M. Humphrey, because who was more cool to the DJs this was aimed at than Hubert M. Humphrey. At first, it starts off with what you would assume: Otis speechifying at you. 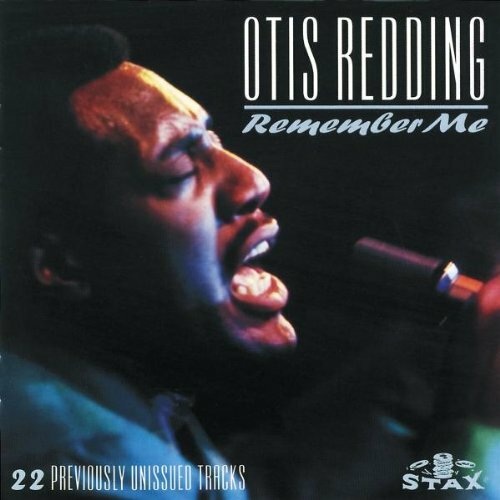 “Hi, this is the Big O, Otis Redding. I was just standing here thinking about you. Thought I’d write a song about you and dedicate it to you. Of course, I love the double maybe even triple entendre of “The Big O, Otis Redding,” in a glorified PSA, but then Otis gets to the song, and you realizes why he earns the right to call himself that. At first it’s just Otis and an acoustic guitar. No bass, no drums, no keyboards, no horns. And in my head, it’s Otis strumming that acoustic guitar, even if it was really Steve Cropper. This first verse is pretty low-key, though the way he sings “You really haught to think about it” is utterly sublime. But at that point, a couple of horns join in, playing a simple riff, and Otis kicks into a higher gear, referencing not just his latest single “Tramp,” but also the difference between the stoop kids and the corner kids. And then finally, the kicker: Otis not just explaining why you should ignore those who make fun of you for staying in school, but also giving his personal imprimatur for your good decision-making. Who could possibly resist that!?! The bit where he chants “when they get there if they make it” while the horns are counterpointing him is one of most favorite moments in all of Otis Redding’s career. Almost for sure an improvisation he was somehow able to squeeze in the midst of a PSA, it just utterly slays me each and every single time. In any event, “Stay in School” is hardly a major Otis Redding song, but it’s absolutely one of my very favorites, and at 1:11, one of the shortest of all of the songs I’m writing about.